Retail/Office/Medical space available in Englewood's busiest shopping neighborhood, Tiffany Square. The complex is across from Walmart and at the intersection of Englewood's two main commercial streets, S McCall Rd and San Casa Blvd. This unit is the only unit for sale or rent that has new floors, new A/C and Hot Water Heater, working kitchen, washer and dryer hook-ups, reception area, hurricane storm shutters, and interior partitions for flexible uses. The unit has a half-bath and easy access rear entrance. The Condominium association maintains the exterior of the building and has recently completed a new roof replacement on every unit. Finally, the association has been financially solid for many years and maintains reserve funds for planned and unexpected expenses that insures a quality shopping center long into the future. 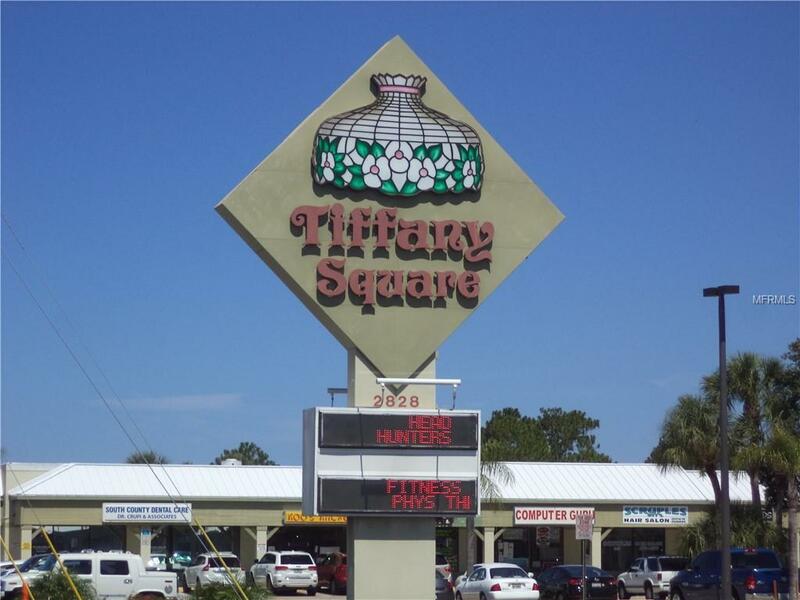 Tiffany Square offers a variety of business including medical offices, restaurants, gaming parlor, therapy training, hair salon, seamstress, and jewelry. Most of these businesses have been in operation at Tiffany Square for more than twenty years. Rental rates for these 832 sq ft store front units typically receive $1150-$1400 per month. Seller is a licensed real estate professional.